In case you haven't heard yet, the second season of Wander Jam with Migz is starting on January 31st with Migz Haleco featuring his new co-host, Sue Ramirez! 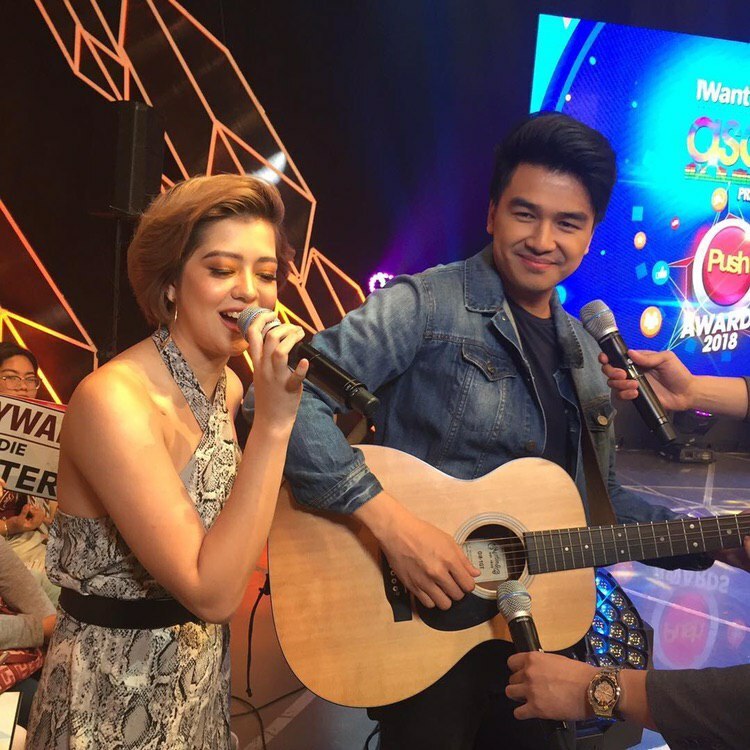 The premiere may be about a week away, but it seems like the co-hosts are ready for new adventures in the Wander Van already because they were spotted getting into an impromptu jam session during the iWant ASAP Push Awards last Sunday, January 20th. Sue was a guest host for last Sunday's episode of iWant ASAP, where she joined the visibly nervous Maymay Entrata, Edward Barber, Donny Pangilinan, and Robbie Domingo, who all were nomintated in different categories at the Push Awards 2018. Migz was also a guest performer for the event, so it seemed inevitable that the two co-hosts would end up jamming together. If you're excited to see what they'll be up to in the first episode of Wander Jam, check out this exclusive clip from the shoot! Catch the season premiere of Wander Jam with Migz this January 31st on the One Music PH YouTube Channel. Were you able to watch Migz and Sue last Sunday? Share your thoughts in the comments section!